pranayama & meditation all in one. 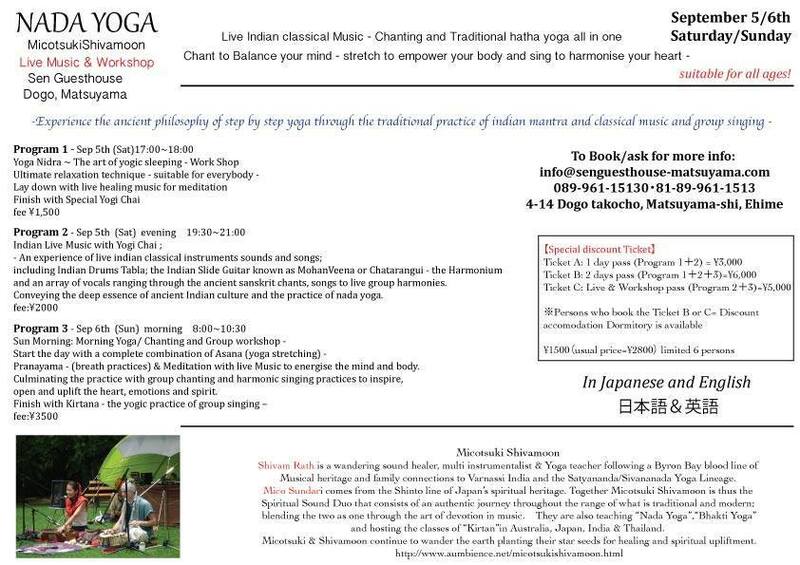 Voice; swara, raga and Kirtana workshops - training. Private and group sessions also available. NadaBrahama - the world is sound. 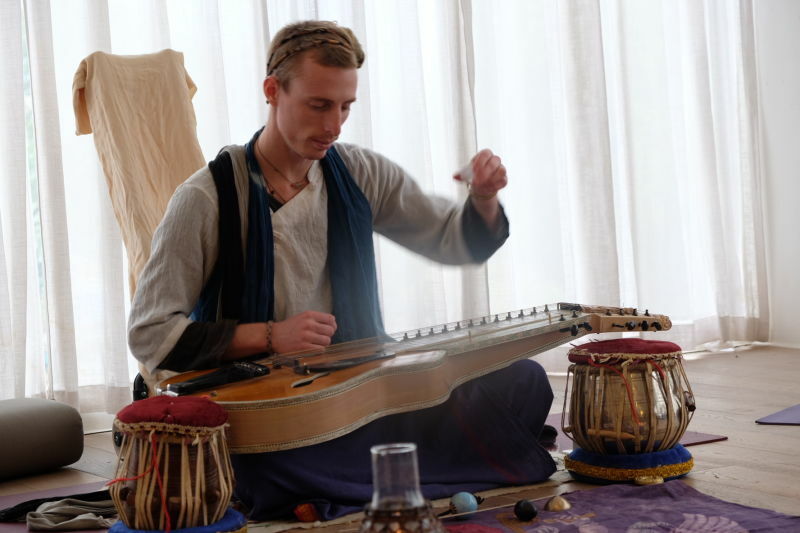 Aumbience follows this outlook of India's ancient philosophy of music and its spiritual significance. Here we aim to bring the intention of music as a process where one can use sound as a direct means to experience deeper states of ourselves; with trance or meditative like results; simultaneously creating a positive - healing vibration for ourselves and the surrounding environment as we do so. We believe music is sound in motion - energy in motion- 'e-motion', our emotional responses and the harmony of our focus and expressions of any given moment in the harmonic field of sound. Just as we may use meditation or yoga asana to align our mind and body so too can we use the power of sound to open ourselves and bridge the balance between our head and heart. Music is a reflection of life. All forms and states of emotion and even atmosphere can be expressed and reflected through music. With this in mind, we can then use the tools and techniques to purify ourselves through sound. Thus using music to learn, awaken, and evolve. Through study and travels across the world never have we found such an ancient and systematic approach like the indian classical system which highlights these points in a very holistic and practical way. We wish to demonstrate and share the various dimensions, language and tone of rhythm, melody and movement; towards the co-creation of something beyond any one culture or spoken language itself, striving towards that which is universal. 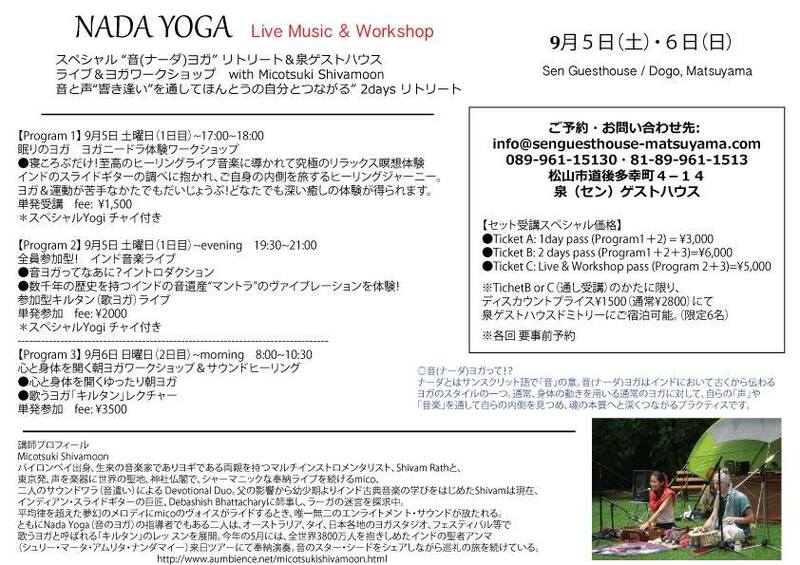 People interested in Mantra, Sanskrit and focusing on the deepening process of sound in daily practice. where music meets us in stillness. Yoga nidra with sound (Nada-Nidra)is often something I like to end our sessions with to bring the music and energy back into a calm state of being.